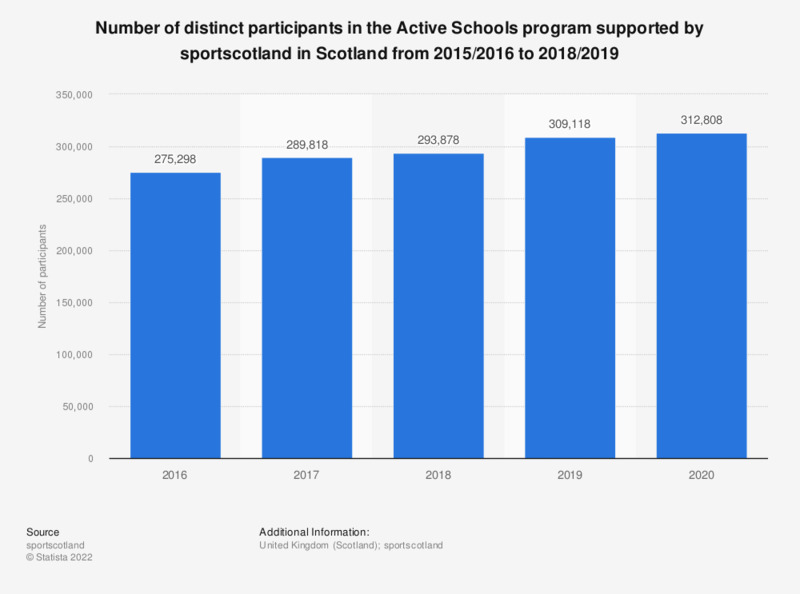 This statistic displays the number of distinct participants in the Active Schools program supported by sportscotland in Scotland from 2015/2016 to 2017/2018. In 2017/2018, there were 294 thousand distinct participants in the Active Schools program. Sportscotland is the national agency for sport in Scotland and through the Active Schools program, it aims to increase the number, range and quality of opportunities for school pupils to take part in sport.